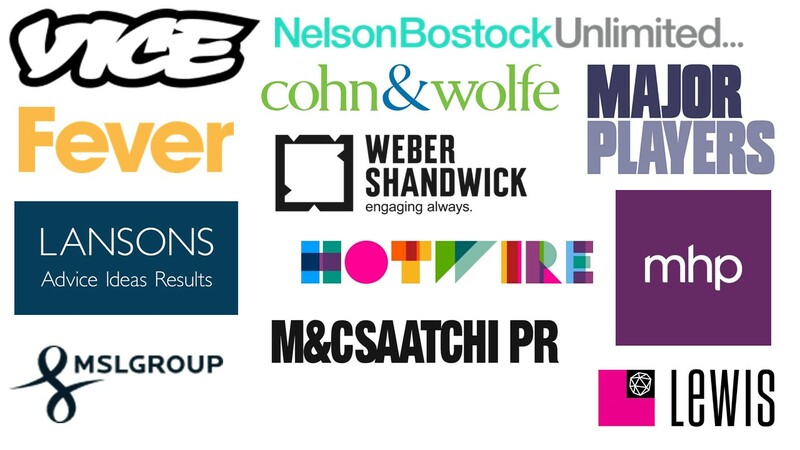 The PRCA would like to invite students, graduates, and anyone else looking to start a career in PR and communications to participate in our annual PRCA Careers Fair on Wednesday 26th April! This is a full day event where participants have the opportunity to hear from industry specialists, visit our CV clinic for advice, enter our Twitter competition to win an internship and interact with recruiters. So bring multiple copies of your CV (with your picture so that the recruiters remember who the've spoken to) and join us! 13.00 PR Panel "The future of the PR and Communications industry"
More participants to be confirmed soon!